Enjoy a gourmet seated wine tasting in our cellar room, featuring Jordan wines and estate olive oil with food pairings by our chef. 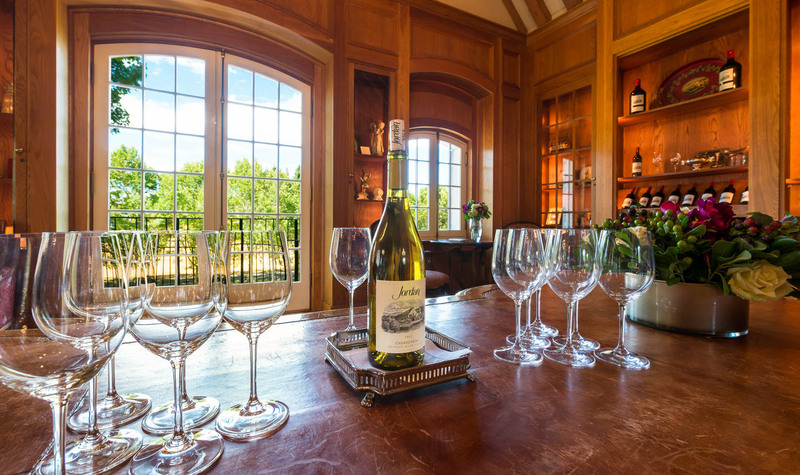 Discover the grandeur of our Winery Chateau in Healdsburg with wine tasting and food pairing in our cellar room. Jordan’s history in Sonoma County and winemaking philosophy come to life through an intimate, seated tasting of our current release Russian River Valley Chardonnay complemented by an hors d’oeuvre pairing from our chef. You’ll also be treated to the current release of Jordan Alexander Valley Cabernet Sauvignon, an older vintage from our cellar and Jordan Estate Extra Virgin Olive Oil, paired with a selection of artisan cheeses.